Northeast corner from Van Vorst Street. 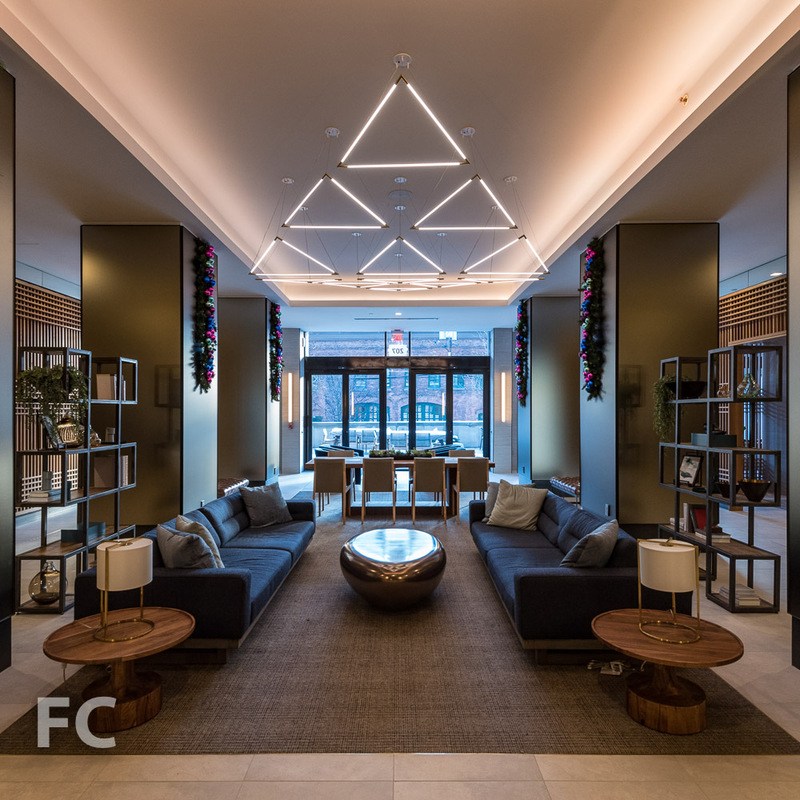 Construction is wrapping up at Lenox, the first of two 15-story residential rental towers from Fields Development Group in the Paulus Hook neighborhood of Jersey City. Designed by Marchetto Higgins Stieve Architects, the first tower will offer 255 residential rental units. Amenities in the building will include a lobby lounge with outdoor terrace, café, game room, fitness center, courtyard, children's playroom, resident club room, and a two-level landscaped roof-deck with pool and private lounge areas. View to the east from the rooftop terrace. View of Lower Manhattan from the rooftop terrace. View to the southeast from the rooftop terrace. Architect: Marchetto Higgins Stieve Architects; Developer: Fields Development Group; Program: Residential Rental; Location: Paulus Hook, Jersey City, New Jersey; Completion: 2018.